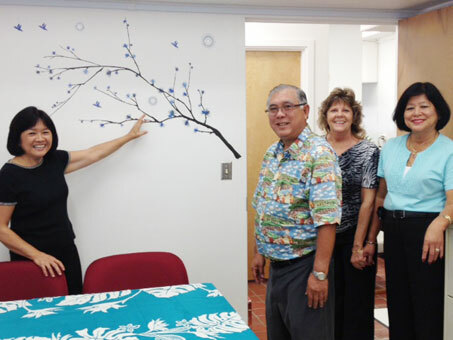 Honolulu, Hawaii — Renovations of the Leahi Hospital nursing office located on the second floor of the Young Building are complete, and has a fresh, new look. Following extensive renovations, the consolidated nursing office now accommodates a total of nine staff, including the director of nursing, clerks, department secretary, nurse practitioner and nursing supervisors. 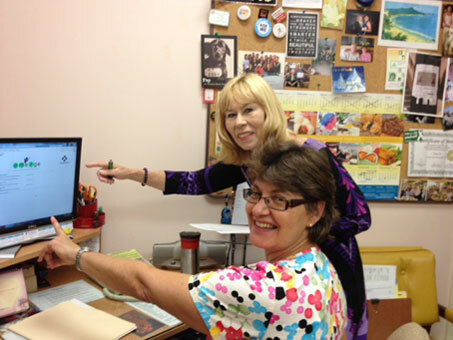 Honolulu, Hawaii — Soon after Leahi Hospital learned about its most recent unannounced Medicare/Medicaid site inspection in July, the Nursing Department became inundated with phone queries from its section heads anxious and curious to learn about the inspection’s new process called Quality Indicator Survey (QIS). So the Information Technology Department was asked to assist. 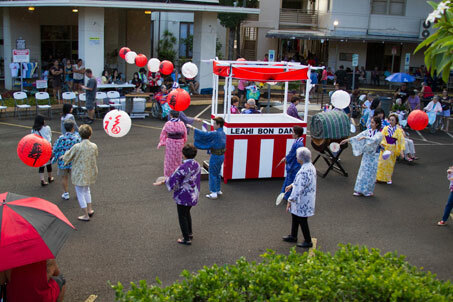 Honolulu, Hawaii — When it comes to Leahi Hospital summer treats, the summer Bon Dance continues to be a favorite at the HHSC long-term care facility located in Kaimuki. Under a cool summer night on July 28, residents, resident family members, staff and hospital neighbors were treated to the Hawaii Shin Kobukai Dance Club dancers wearing summer kimonos move in a circle to the beat of a Taiko drum in the Leahi Hospital Front Parking Lot. The mood was joyous with both residents and spectators of all ages. Honolulu, Hawaii — The Hawaii Health Systems Corporation Oahu Region Board of Directors has named two new members to its board of directors. 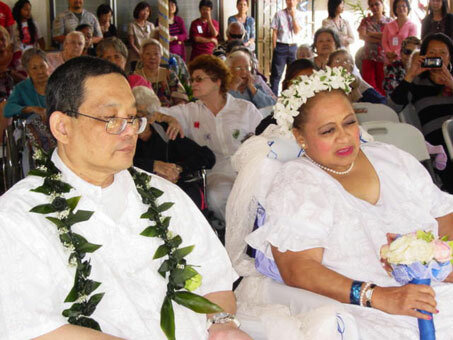 Honolulu, Hawaii — With the beginning of the spring season, love was in the air at the Leahi Hospital, long-term care facility in Kaimuki. 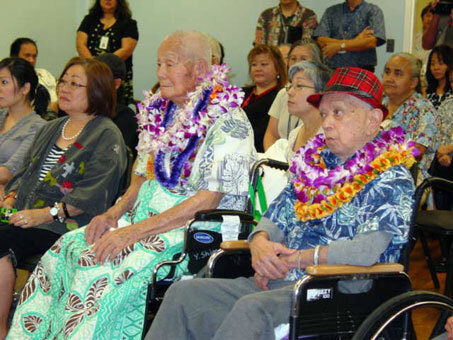 Honolulu, Hawaii — On Thursday, January 26, 2012, two long-term care patients of Maluhia were honored for their outstanding military service during World War II. The 100th Battalion, 442nd Infantry Regiment and Maluhia hospital staff honored Mr. Yoshiwo Shimabukuro and Mr. George Chinen by presenting each of them with gold medal to commemorate their service and sacrifice. Ever since Hawaii Medical Center’s announcement to wind down its operations became known, the Hawaii Health Systems Corporation and the other hospital systems have had an active role In the placement of its patients. For the HHSC Oahu region, our major responsibility was to assist in the effort of providing continued and uninterrupted quality healthcare to those patients who depend on on-going skill nursing care. I would like to extend my profound appreciation for your exemplary work in responding to this very unfortunate situation. From the onset of closing process, the assessment team consisting of Maluhia’s Nora Rebucas, Neal Yanagihara and Elvie Del Rosario, in addition to Leahi Hospital’s Ruby Yogi-Yempuku, Pat Palacat, and Lydia Chock worked very closely with the HMC administrative team to ensure that our services would be able to meet the special needs of these patients. Subsequently, Leahi Hospital was able to admit a total of five former HMC patients, while Maluhia is caring for another five. Your hard work and all your extra effort that you have put forth during this unexpected period have not gone unnoticed. You understood what the situation was and did what we needed to do – responding effectively to the community challenge to care for these patients while helping to ease the increased level of stress that these patients were experiencing. Your willingness to do what was necessary to care for these patient transfers while caring for the other residents in your unit is one specific example of your giving 110 percent. Your commitment to provide our residents with the best quality care possible makes me extremely happy, proud and impressed of the true professionals you are. Honolulu, Hawaii — Maluhia, the Alewa Heights long-term care facility, has earned a Five-Star Rating from the Centers for Medicare and Medicaid Services (CMS), the highest overall rating based upon three key areas related to quality of care for nursing home residents: health inspections, quality measures and staffing information. Honolulu, Hawaii — Amy Yasunaga, RN, MSN, Ph.D., has been appointed chief nurse executive for Hawaii Health Systems Corporation, Oahu region. 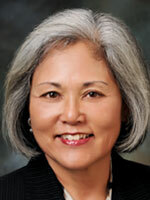 She will oversee the nursing services departments at both Leahi Hospital and Maluhia.